With every new version there are new plugins or options in Windows Admin Center so you server management is getting easier and quicker. 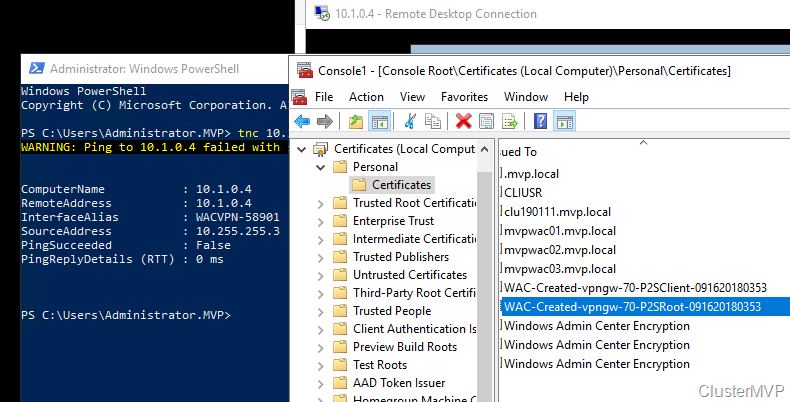 In this blog I will show you how to build a point to site VPN from a windows server 2019 with Windows Admin Center. 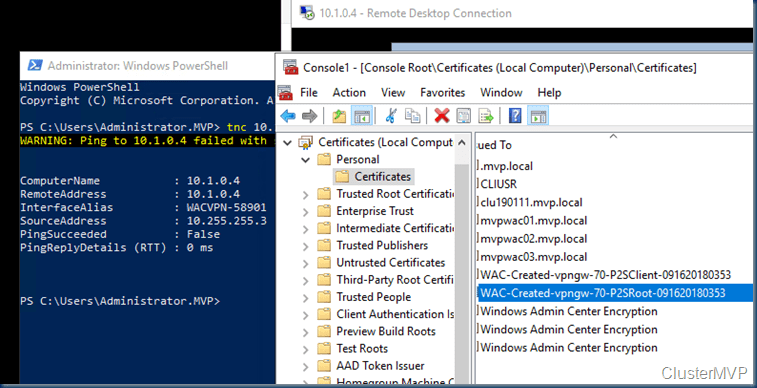 You will need the Insiders preview For this. The Azure Network Adapter extension in Windows Admin Center "automates the configuration for the Azure Virtual Network gateway as well as the on-premises VPN client," Microsoft’s announcement explained. 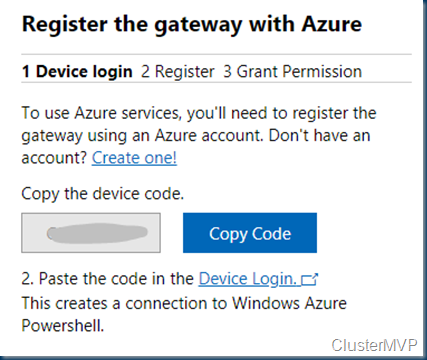 Do the Azure Network adapter (ANA) + and If you are not registered to Azure already in the Windows Admin Center then you need to do this first. 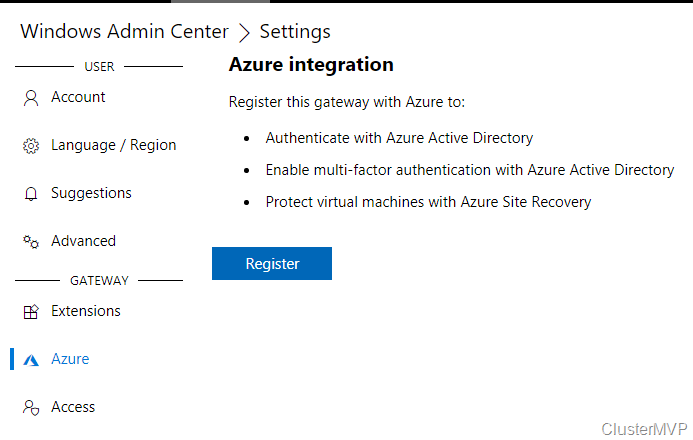 Do the Register Windows Admin Center to azure. 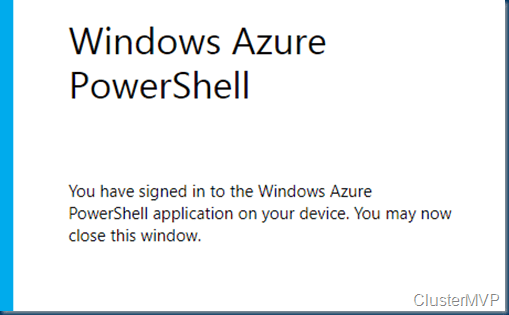 Do Register, Remember you need to enable Popups I your browser is you are not allowing this. 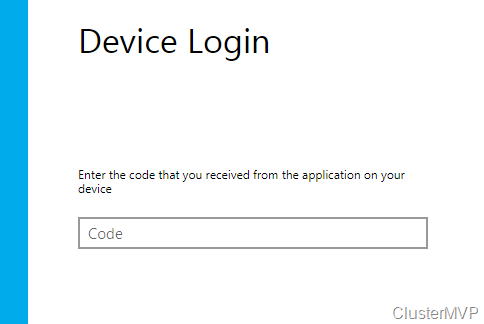 Copy the Code and use this in the next login windows. 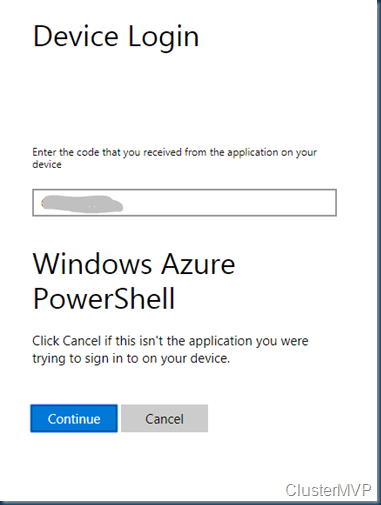 Paste the Code into the screen and you are sign in into Azure. 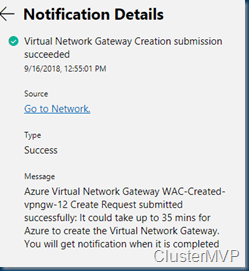 If you for get this step the popup will fail and you can’t add the network. 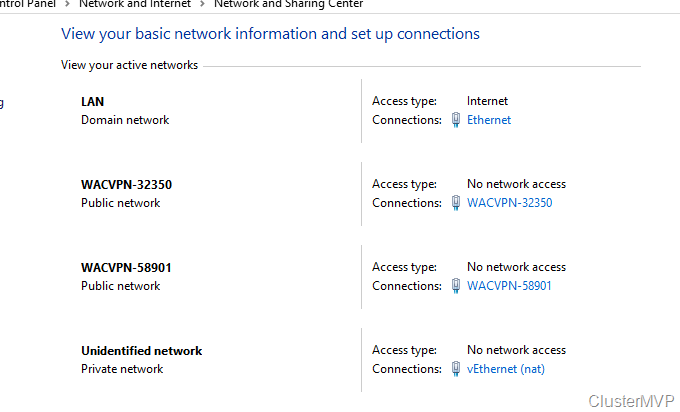 Fill in the details your subscription and location with the network. 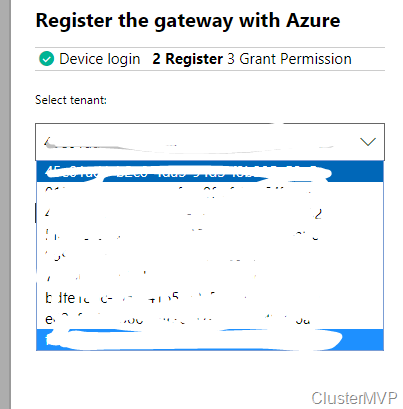 If you don’t have a Azure network you need to create one first in the Azure portal, as a Point to site connection is connection to you azure network. 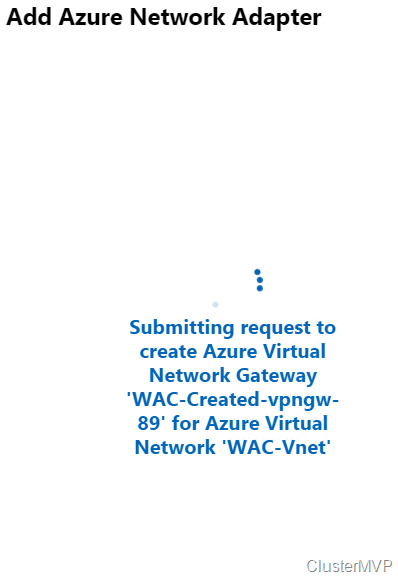 After a few moments you can see in the Azure Portal that the Gateway is created. 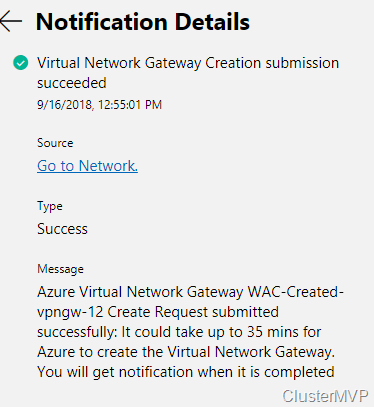 Note: The creation could take much longer (~25 minutes) if the Azure Virtual Network gateway needs to be created. 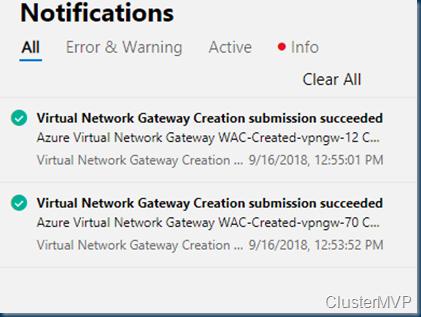 In this case it is I did not have a gateway. 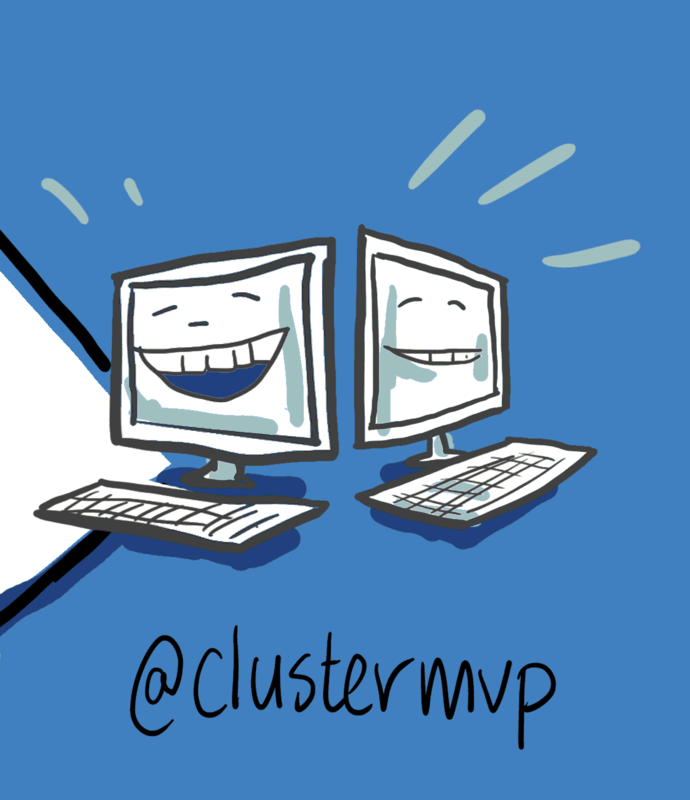 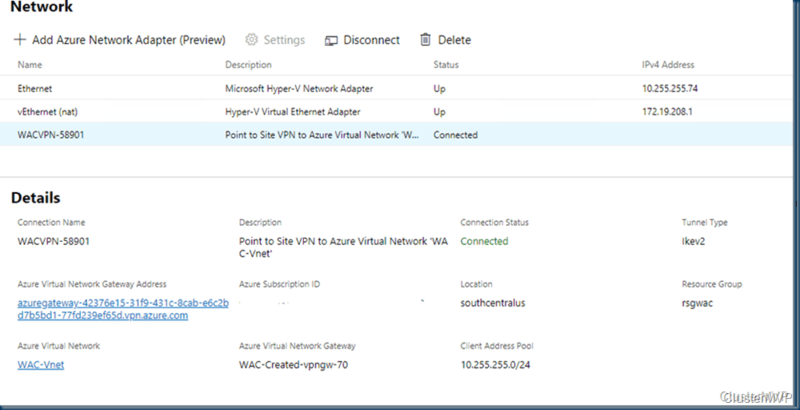 Once your Point-to-site VPN is “Connected” your server now has a connection to the Azure Virtual Network. 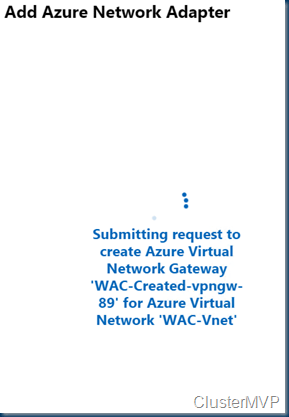 The server will be able to communicate to any Azure resources in the Virtual Network. 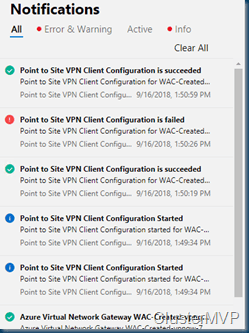 In the Windows Admin Center you get a nice detailed overview of the connection. 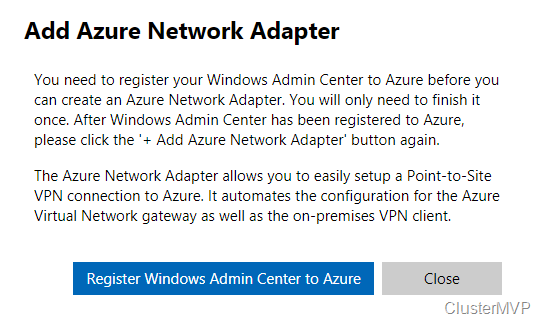 Once your Point-to-site VPN is “Connected” your server now has a connection to the Azure Virtual Network. 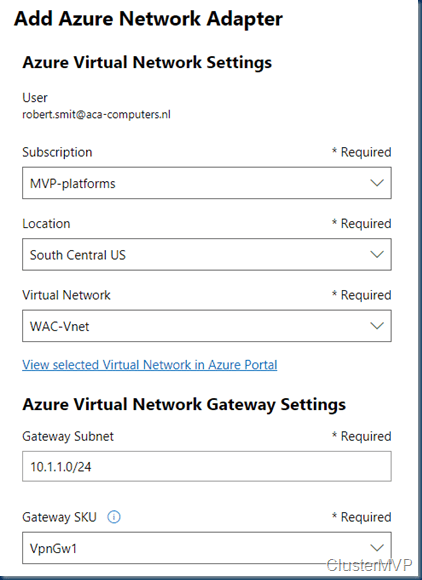 The server will be able to communicate to any Azure resources in the Virtual Network. 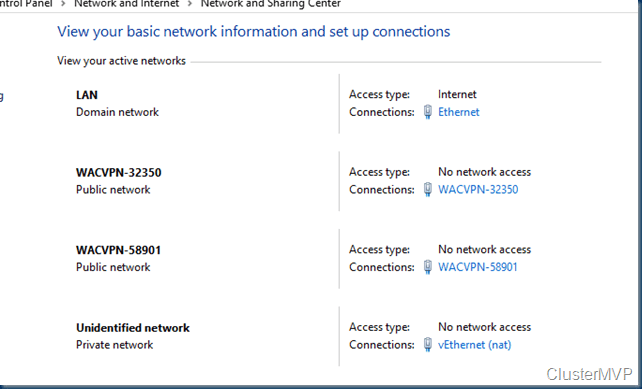 On the Client you see also the extra networks. 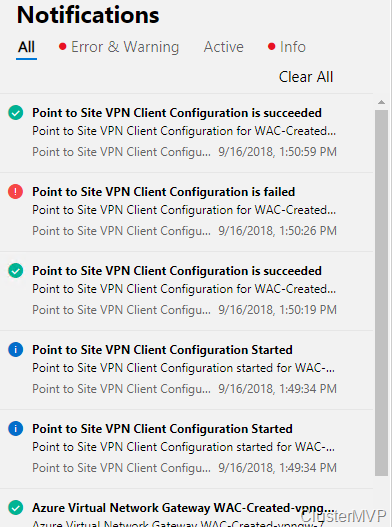 I created Two extra Point to Site connections. to two different subscriptions. 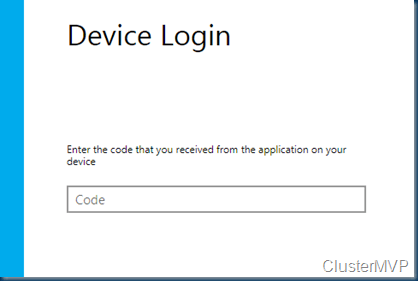 just to see if this was working. 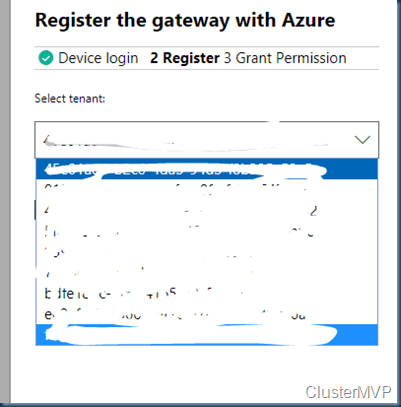 To test if the connection was working I connect to a Azure VM by the internal IP. 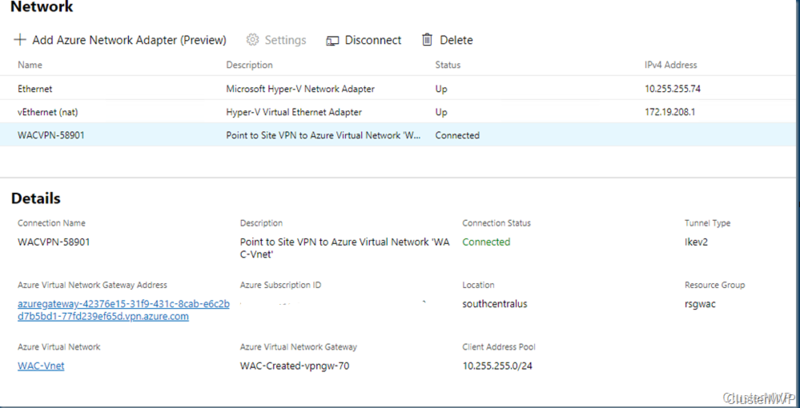 The internal network IP of the Azure VM. 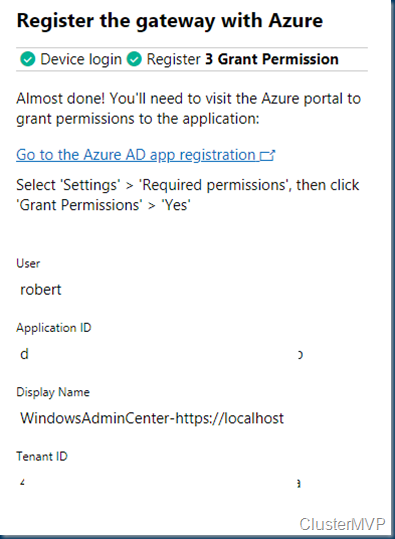 As you can see the Created certificates to Azure are on the Windows server 2019. 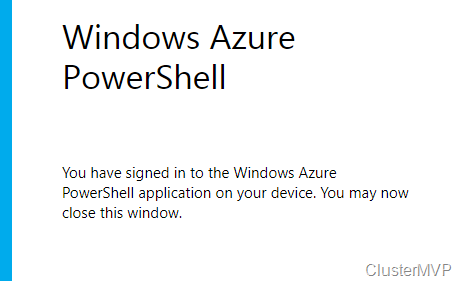 Ready to give it a shot!? 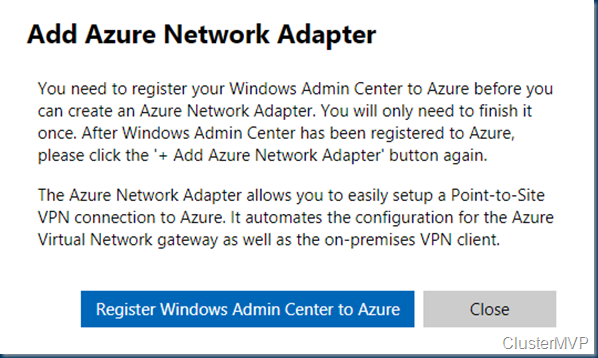 Try out Azure Network Adapter in the Windows Admin Center Version 1809! 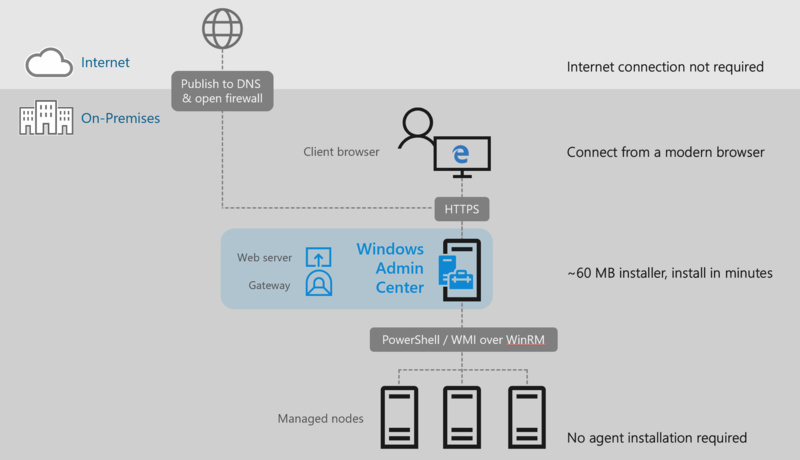 Note: Windows Admin Center Version 1809 will be released in September. 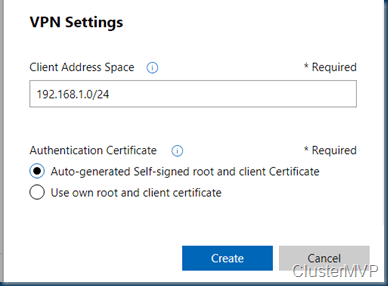 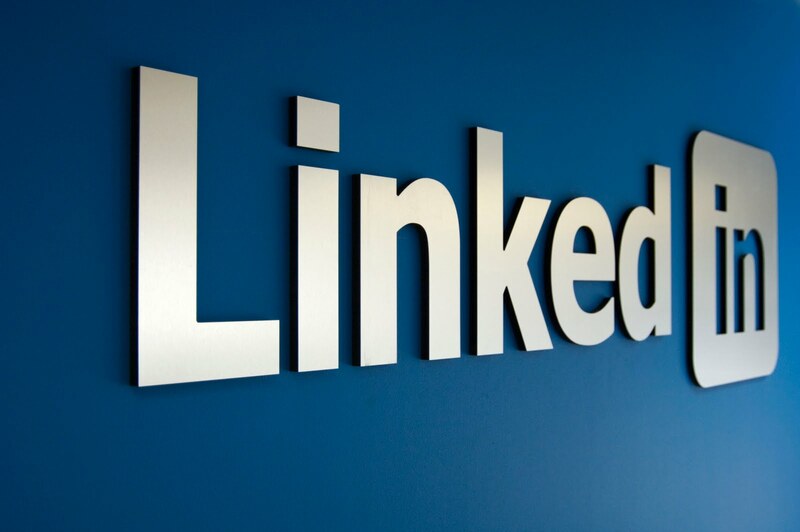 Previously creating hybrid cloud connectivity required expertise in networking, certificate management, and even infrastructure setup and maintenance. 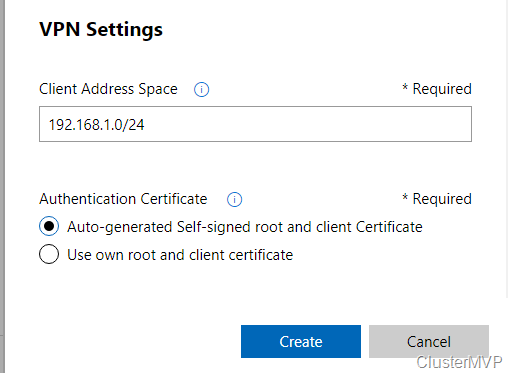 Now with the Azure Network Adapter in Windows Admin Center (version 1809), hybrid connectivity can be configured with the click of a button! 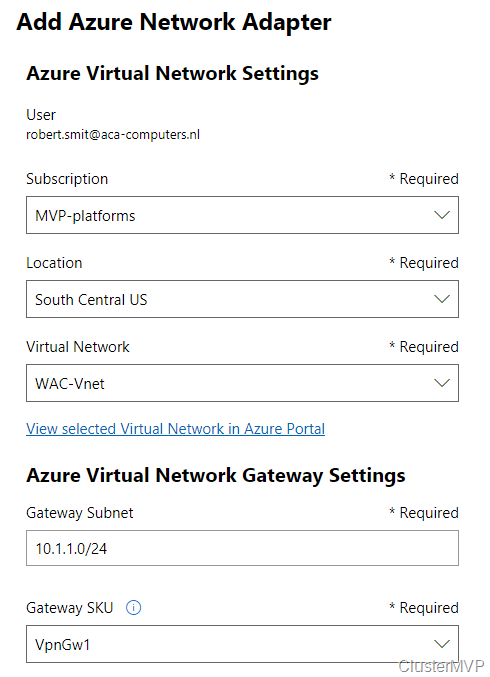 The Azure Network Adapter automates the configuration of the Azure Virtual Network gateway and VPN client installation for you! 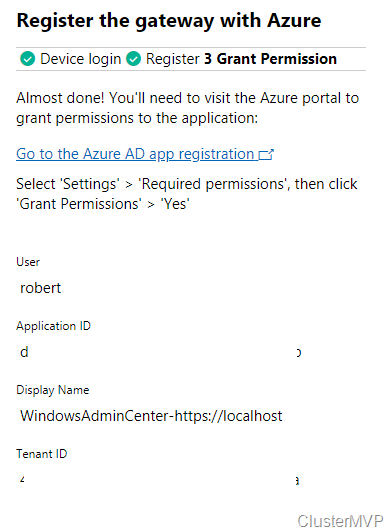 Excellent article as usual Robert.